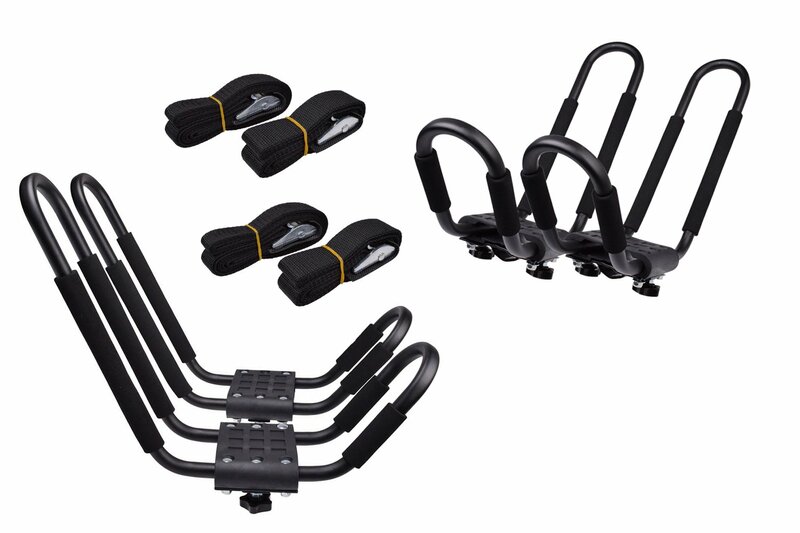 This Contour Kayak rack comes with universal mounts, it will mount on round, square and factory crossbars. Bow - stern tie down straps increase kayak stability. 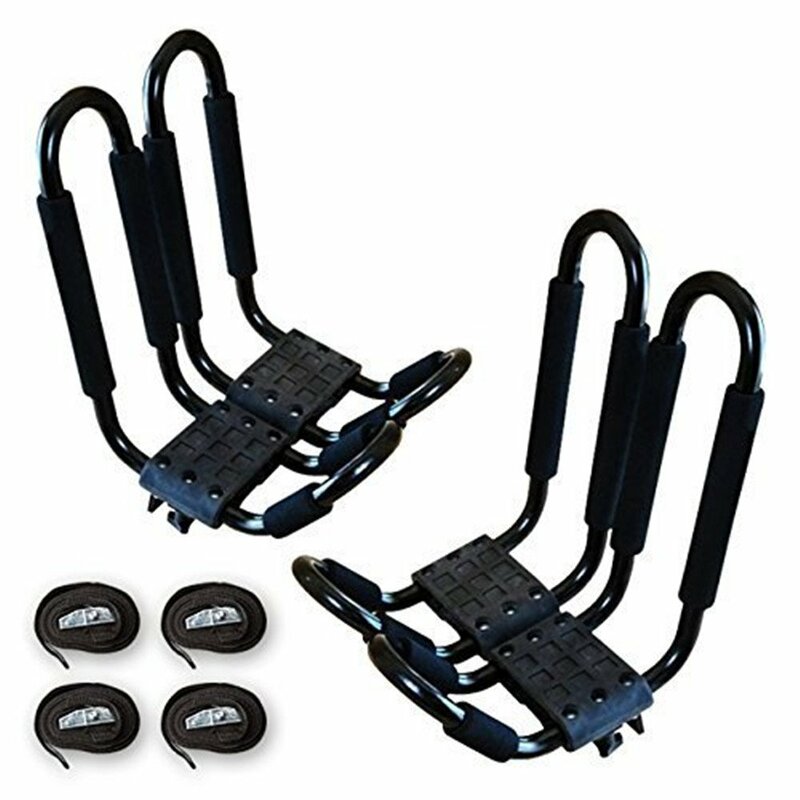 Includes 2 tie down straps with cam lock buckles. Soft yet firm padding to help protect the boat. Have used them a few times by now, and for the money the are hard to beat. 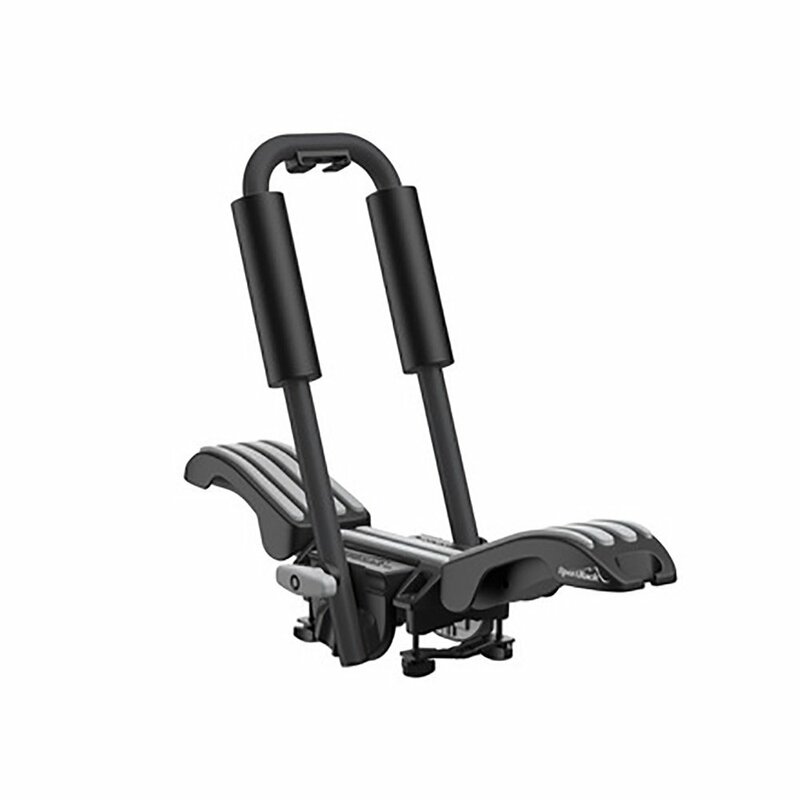 I checked out Thule and other premium brands, but the cost is way more than these. I have tested them at high speeds of 80km/h+ with 2 14ft kayaks and they held extremely well. They held solid and I didn't notice any movement looking in the mirror to see above. 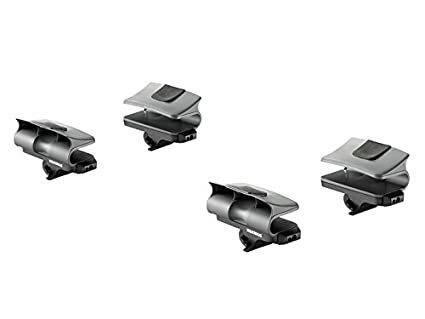 The mounting plates that attach to the cross bars could have been moulded into a better shape, but maybe this was their best design for an average fit on vehicles bars. Also, the long bolts that attach the mounts need to come with shorter bolts, as I have a pretty common passenger van that I had to actually cut the bolts shorter so they wouldn't impact the roof. Small annoyance, but it should have been thought of for vehicles with shorter crossbar roof gaps. Overall love these for the money, they get the job done! I have one gripe about this rack. The J shaped bars are 2 pieces, separated in the middle where the rubber base is located. Inside the separated tubes, there is no rust protection. So what keeps happening is that rust debris from inside the tubes keeps coming out and finding its way all over the roof of my car whenever it rains. It just takes a spray of WD-40 to treat the issue. But this could have been prevented by using plastic/rubber plugs to cap the end of the tubes that are not protected from rust. You can't beat the price to the quality. There are cheaper racks available, but they are made so terribly that you can nearly bend the metal with your bare hands. The Swagman rack is very sturdy. I appreciate the tool-less design. I was able to bring the rack with me when I went to pick up my kayak and bolt it on by hand right then and there. 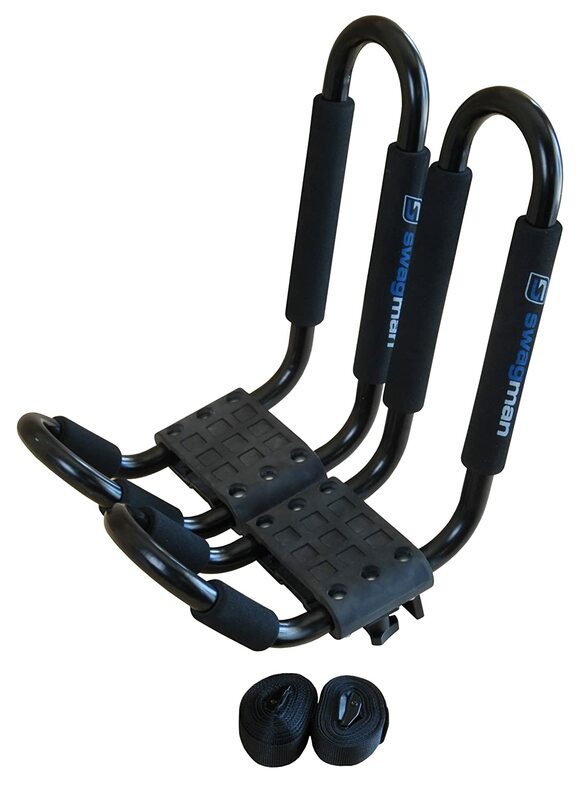 As for the universal fit, they DO fit any size and shape of crossbar. I think what most people are forgetting is that this rack is only for affixing the kayak in a vertical position. 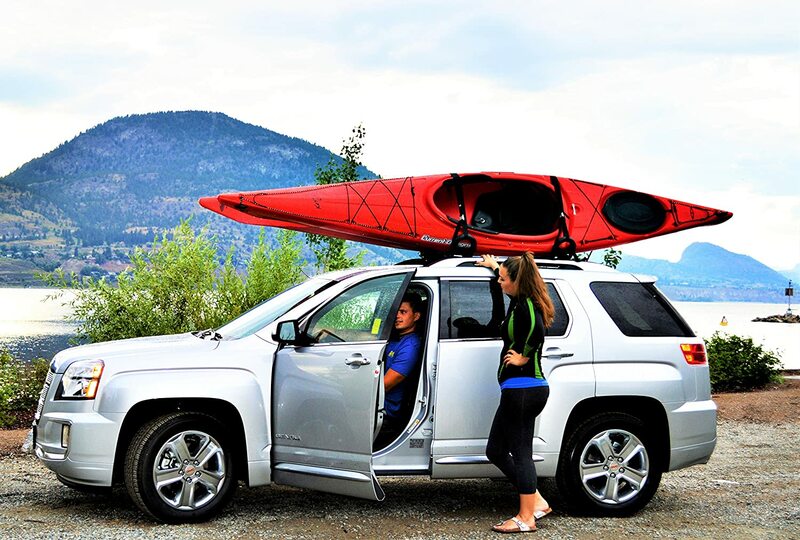 You DO NOT rely solely upon the Swagman rack for mounting the kayak. The straps must always be looped through your crossbars as the main support. For this reason, as long as the rack tightens onto your bars - even if not perfectly secure - then they do fit as intended. 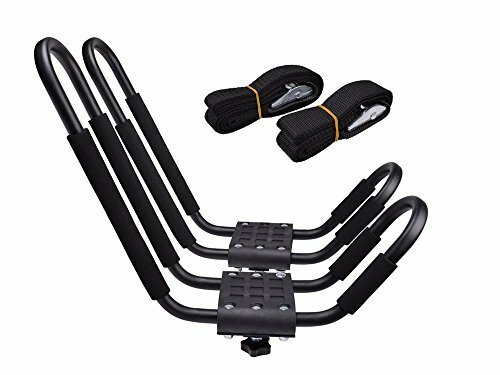 The rack itself is great, very sturdy and comes with both the short mounting bolts preinstalled, and a set of longer bolts for oversized bars so you're covered either way. On a Sportrack square crossbar this fits great with the universal mount and short bolts so works well for me. the cam straps that come with it are pretty short and are definitely where they tried to save money, but the bow/stern ropes are pretty nice so I can't fault it too much. Overall if you're looking to save a few bucks on your rack this is a great alternative to the bigger name solutions. 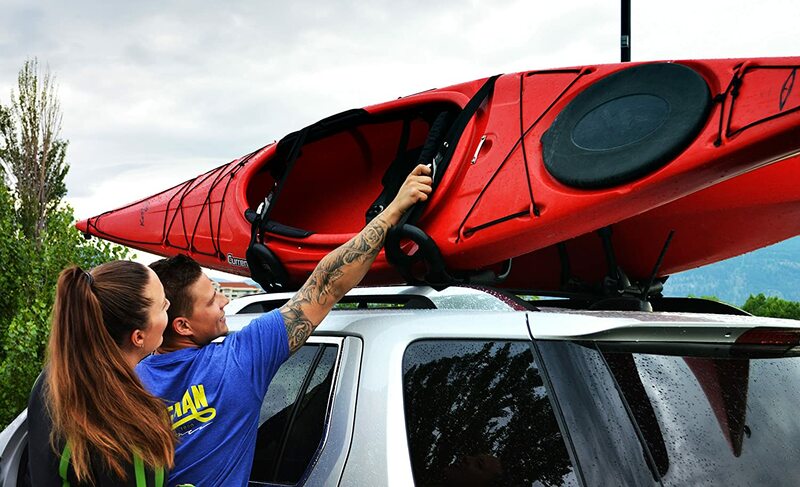 This was my first time ever hauling kayaks on our 2016 Ford Explorer. The product was simple to put on our roof. But I struggled a little with figuring out how to tie down the kayaks. A simple YouTube video explained this and everything worked great. My only suggestion to the seller to improve their customer experience, is provide a video on how to tie down the kayaks using their product. Other than that, I'm really pleased with the rack holder and their quality. Easy enough to mount though I have some reservations about the universality. The profile of the mount does not match the cross-section of the factory bars on my 2013 Dodge Caravan and I have to really tighten the screws to secure them. Having said that, my first 100km highway road trip, and return, did not pose any problems. 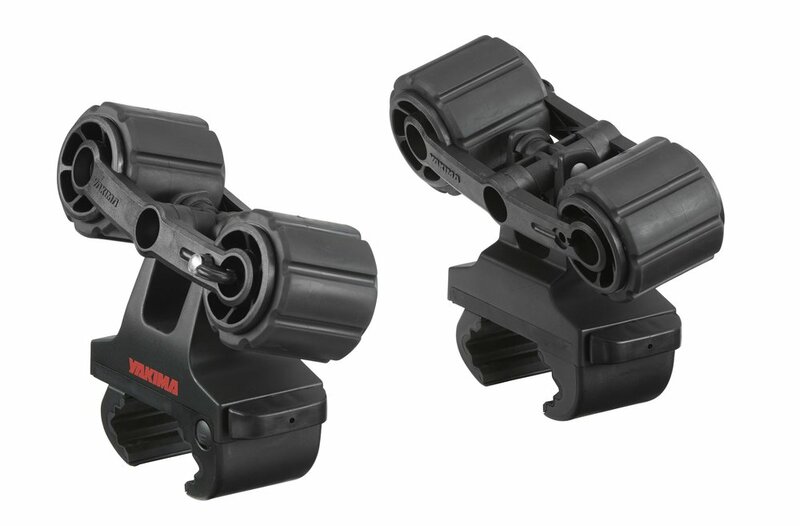 They can be gotten at other specialized retailers such as MEC as well if one should care to see the mounts more closely. Holder has rubber pads so that the kayak does not scratch - it also prevents the kayak from sliding - which is a pain if you are trying to position properly front to back (especially by oneself ). I had difficulty the units to the rack on my SUV - again probably because there is too much friction between the kayak and the rubber pads. The mounts are NOT universal. I contacted Swagman first to ensure it would fit my vehicle factory crossbars and was assured it was a universal fit. Not even close. I ended up buying a more expensive carrier and can see the difference in craftsmanship, strength and materials. If it fits your bars then it would be ok. 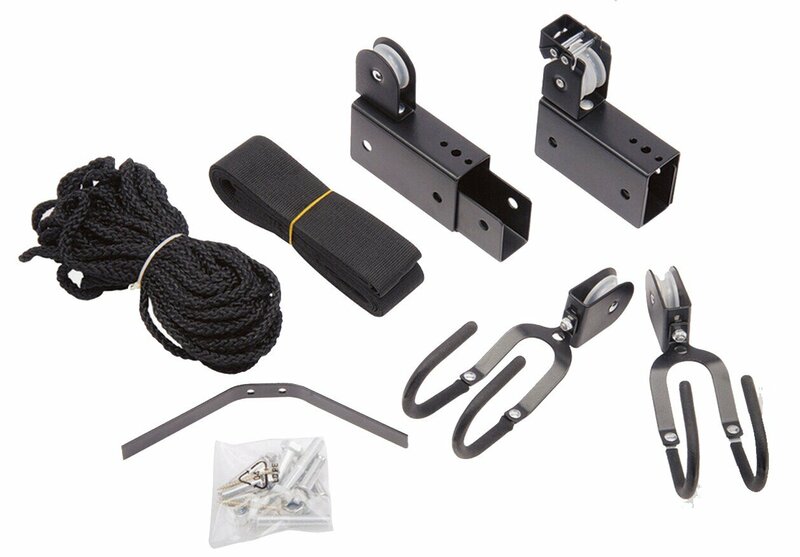 These are well made, reasonably easy to install and load/unload, and they are good value. Universal mounts work fine on my SUV. The product arrived before the projected date in perfect condition. Solid unit from a great seller.